Westworld has added two new actors to its highly-anticipated second season. 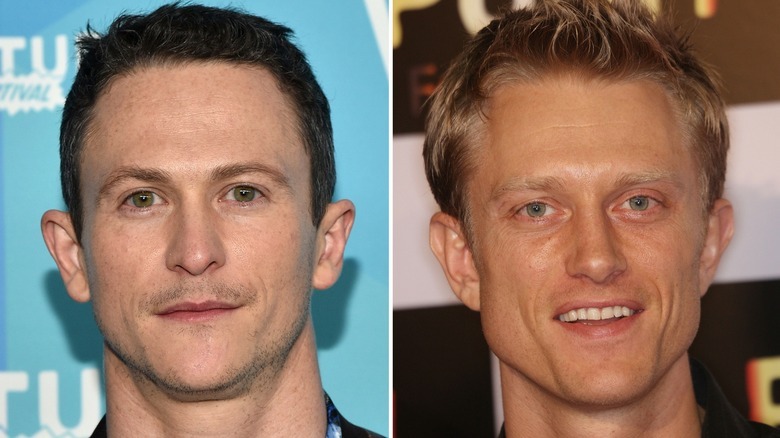 Deadline reports that Kingdom star Jonathan Tucker and Quantom of Solace star Neil Jackson have joined the cast, with Tucker recurring and Jackson as a regular. Tucker has joined as Major Craddock, a character described as "a commanding military officer." There is no word on how many episodes he will appear in. Tucker's inclusion could hint that the host rebellion that capped off the series' dramatic season could be more serious than initially thought, with the military possibly brought in to quell the conflict. However, this is Westworld, and there are lots of twists (including Tucker's character actually being one of the hosts) that could complicate his introduction. Tucker is known for his appearances in films like The Texas Chainsaw Massacre, Hostage, and The Ruins, but he is more known for his work in television. The actor had a memorable role as Low Key Lyesmith on American Gods, and has also appeared on Justified, Parenthood, Person of Interest, The Black Donnellys, Law and Order: Criminal Intent and Special Victims Unit, and The Practice, among others. Jackson will play Nicholas, "a charming, resourceful man who finds himself in uncharted territory." With that vague character description, there are lots of different possibilities for how he could fit into the story, and with Westworld's propensity for twists, it should be interesting to see where he ends up falling in the dramatic story. Jackson is a versatile actor who has appeared in quite a few big name films, including Nocturnal Animals, Alexander, Push, and The Passage. He is best known for his TV appearances, which include Dream Team, How I Met Your Mother, Make It Or Break It, Blade: The Series, Flashforward, and Sleepy Hollow. He is next set to appear on the crime drama Absentia, opposite Castle's Stana Katic. Tucker and Jackson are just two of a few new additions to this season, including Manhattan's Katja Herbers as a "seasoned guest in Westworld whose latest visit comes at the park's darkest hour." Season two will also see Talulah Riley's host get promoted to series regular, with the show teasing that her character Angela, responsible for welcoming guests to the park for decades, will "prove to be one of the last faces many guests will ever see." Westworld doesn't return for season two until 2018, so it will be a while before we get to know how Tucker and Jackson's characters and the rest of the new additions to the cast will fit in. For now, see some unanswered questions we still have from season one.